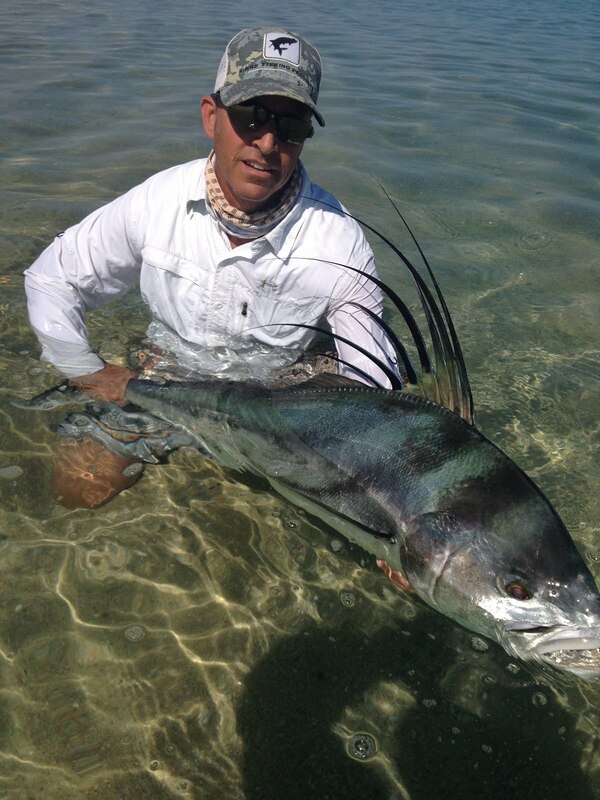 Robert Sharpe with a fly caught wahoo. Way to go Robert. Just wanted to say a big Thank You again to all the folks that pitched in to our relief fund..
Its crazy, Cabo is ready for you an no ones coming... Its been cleaned up for a long time and its beautiful again... The weather is perfect, but sadly no tourists.. We had a few trips in October, and we had some awesome fishing, including over a dozen roosterfish caught in one day, and one over 50#, the dorado have been plentiful... We did a few slow days, but thats fishing.. This November and December should be outstanding fishing, as we have inshore and offshore fish..We would love to see you again soon.